While there are quite a few horrible things about ‘Jack & Dil’, it’s the headache-inducing horrendous background music that takes the cake. If we had it our way, we would serve an ultimatum to the person responsible for the shrill sounds to find an alternate career. As far as Amit Sadh is concerned, this is the worst film he could have signed after cementing his place as an able supporting actor with decent performances in ‘Kai Po Che’ and ‘Gold’. Clearly, he knows it too, because one look at his social media profile – and there is no mention of this film. 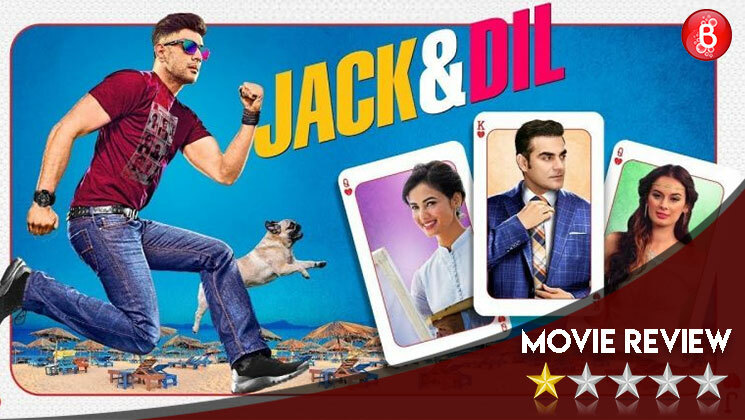 Coming to the plot, Jack (Amit Sadh) is an unemployed bum who wastes his time by reading detective novels, watching detective films and writing a detective novel. His life takes a turn when he meets Waliaji (Arbaaz Khan) who hires him as a – you guessed it – detective. Walia suspects that his wife Shilpa (Sonal Chauhan) is having an affair with someone. Like a fool, Jack tries to spy on Shilpa but falls in love with her ultimately. What happens next is something that you’ll have to see the movie for. As far as the performances are concerned, it’s hard to say who is worse – Amit Sadh or Arbaaz Khan. While Arbaaz’s inability to have authentic expressions is well known, Amit too falls flat by overacting in 99.9% of his scenes. Right before interval, there is a scene where the two A’s are having a meeting over drinks. The manner in which they break into a laughter, their dialogues and the general WTFery of the scene is so cringeworthy, it makes Dhinchak Pooja seem tolerable. One thing is for sure – any director in his/her right mind will not cast Amit Sadh in a slapstick comedy after this. His comic timing is so off, it could rob an entire town of its electricity. As a film goer, I wonder why these films are released at all. And why do big names go and promote it? Why do the producers invest money after watching some of the scenes? If somebody has answers to this question, do hit me up on social media. Like Amit Sadh in the poster, run in the opposite direction.